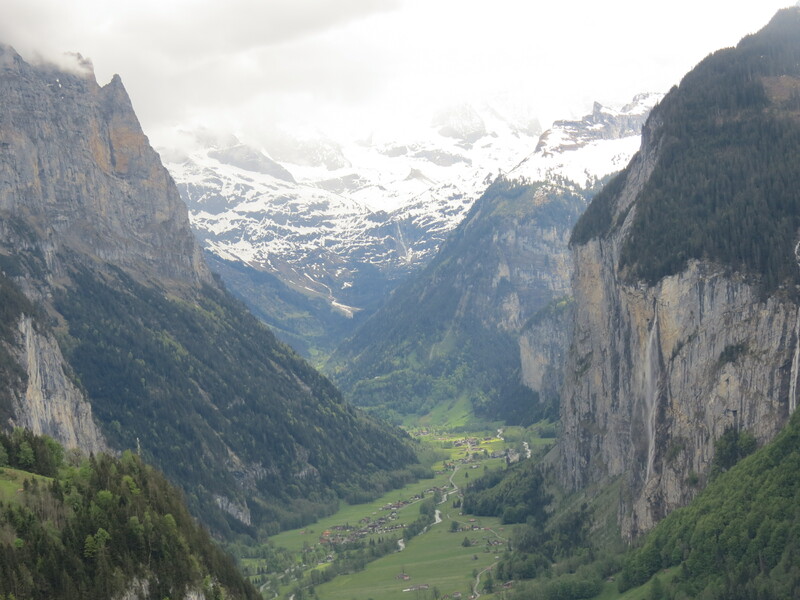 After having traveled through Europe for several days, I thought I had already seen everything at that point, but as we drove into the valley of Lauterbrunnen, I was in for something that I did not even dare dream of. 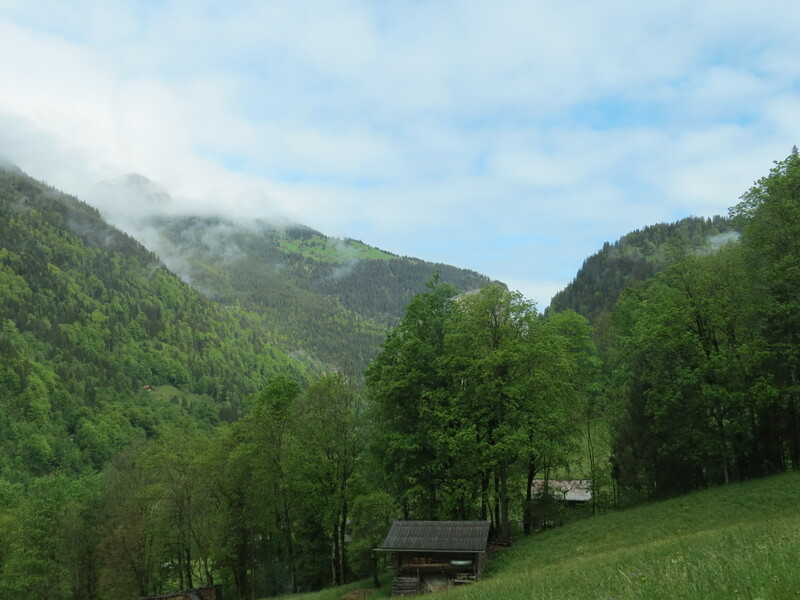 Our Swiss Chalet was located in the middle of the valley along a river that flowed beautifully. 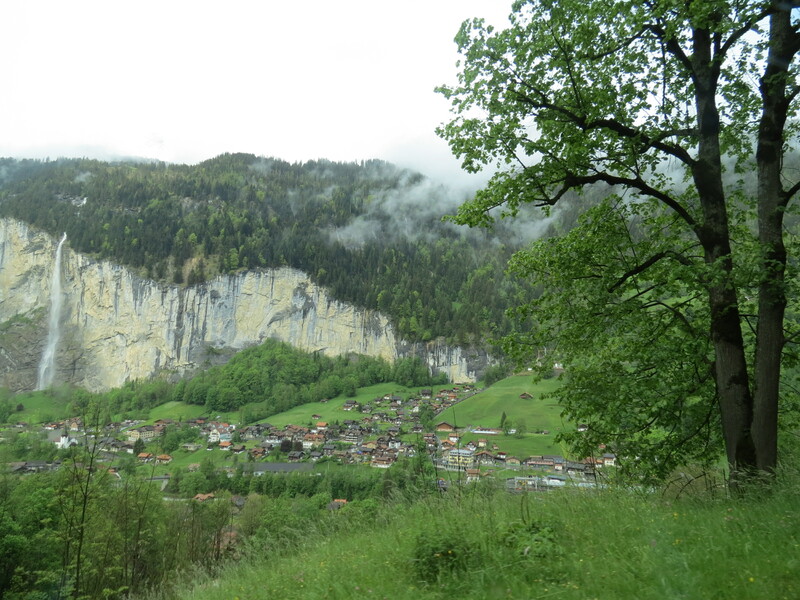 Surrounded by limestone walls, tree-covered mountains with snow-covered tops, waterfalls scattered throughout, I knew this had to be paradise. 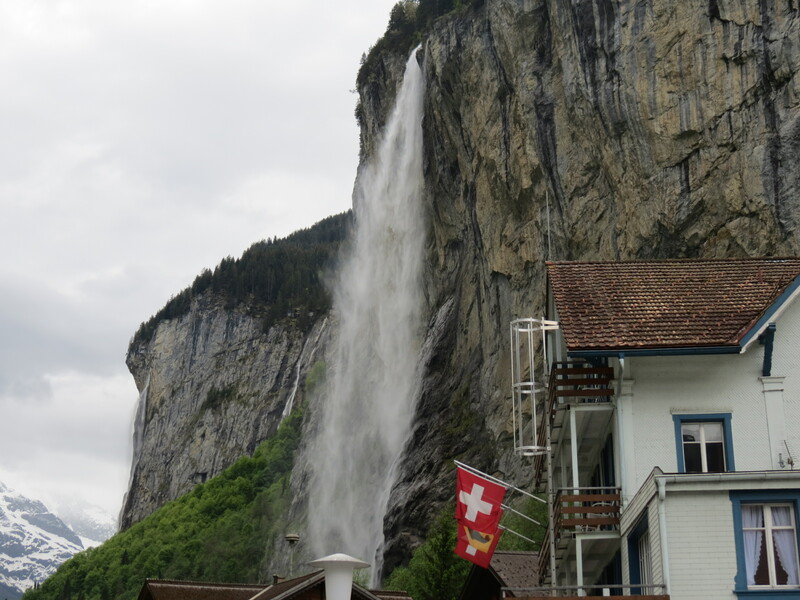 Though at that point, I had visited a number of the most majestic of cities in Europe, I believed that Lauterbrunnen was amazing in its own unique way. 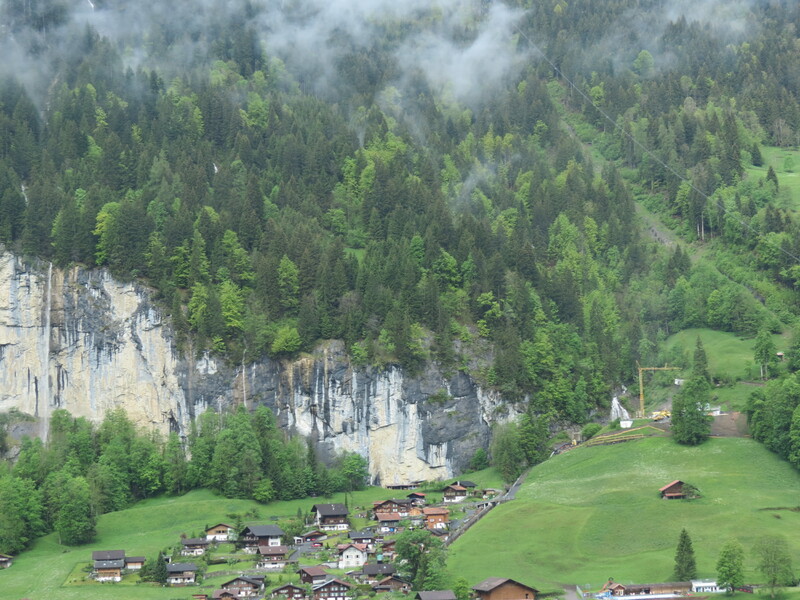 This is the one place that I can say is truly, naturally magical; being in the midst of it all made me realize how the beauty of nature is far more exquisite than that of man-made cities. 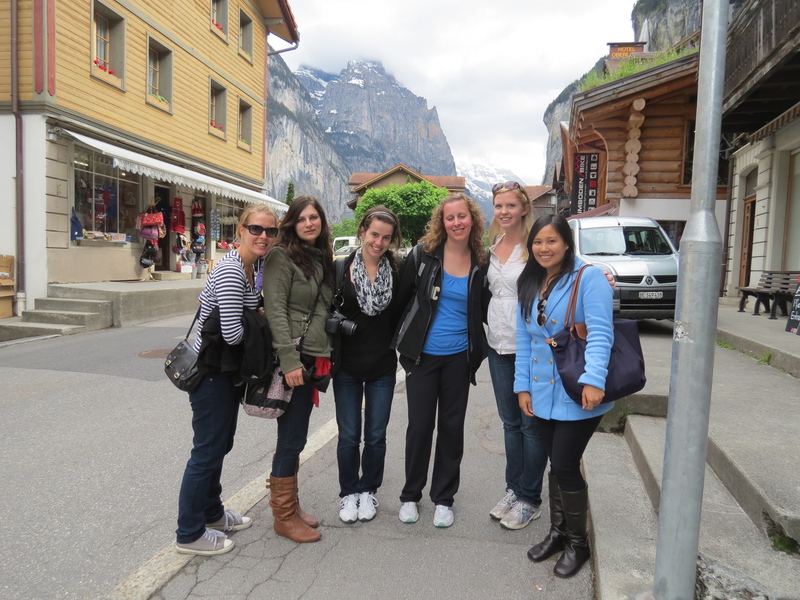 Though don’t get me wrong, the cities of Prague, Paris, Venice, and so on still hold very special places in my heart, but there was just something about taking a detour from all the tourist-filled cities and seeing places only locals know of. Many times while I was there, I had to close my eyes for a few seconds and open them again just to realize that what I was seeing was real, because everything felt like this crazy dream. 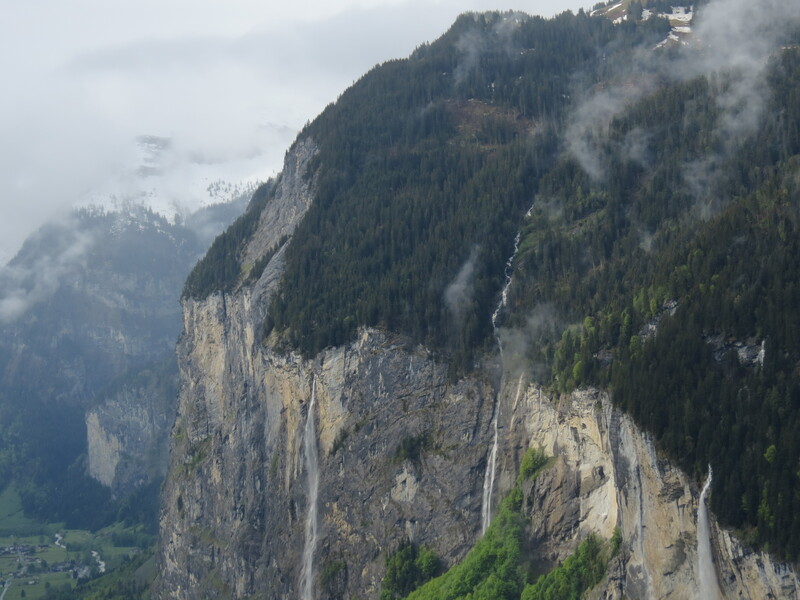 These photos will never do justice to how magnificent Lauterbrunnen is, but seeing as how these photos take my breath away as it is, says a lot. 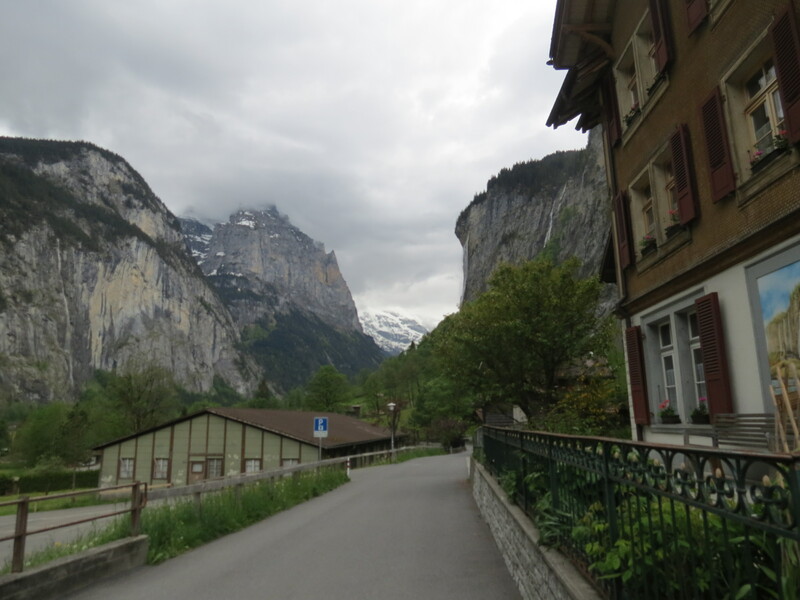 My favorite thing about staying in little villages/towns like Lauterbrunnen is being able to roam freely without worrying about scouring through the busloads of tourists or haggling with store-owners. 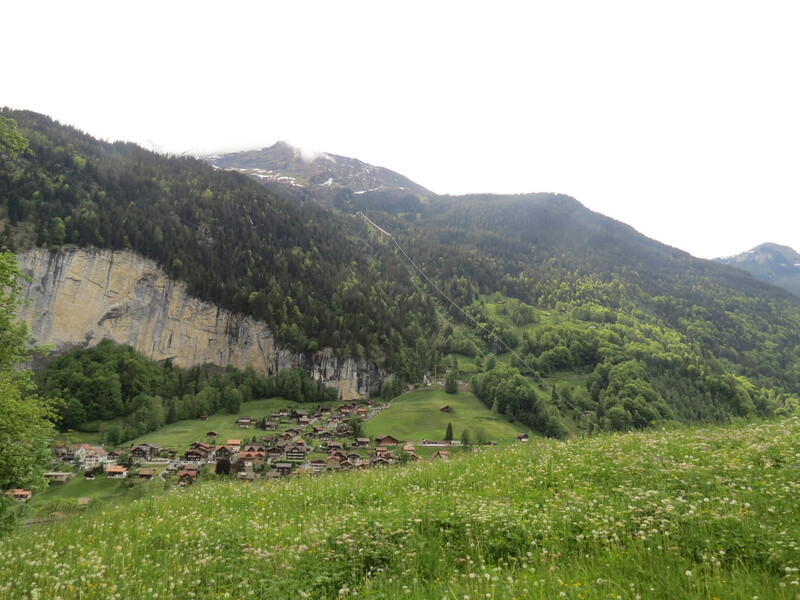 You just get to walk around, taking in the fresh air and basking in glorious Switzerland. 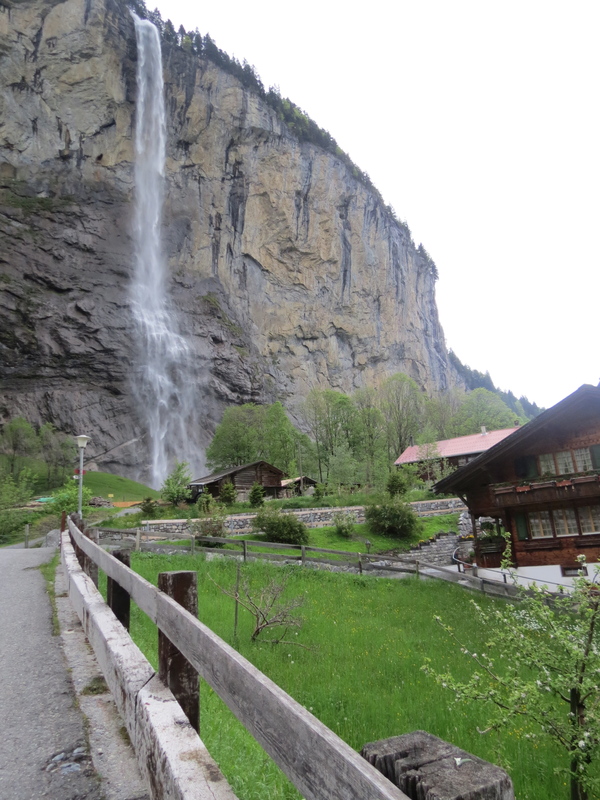 Living beside a waterfall in a Swiss Chalet with views of the beautiful valley of Lauterbrunnen truly was one of the most amazing experiences I’ve had to date. 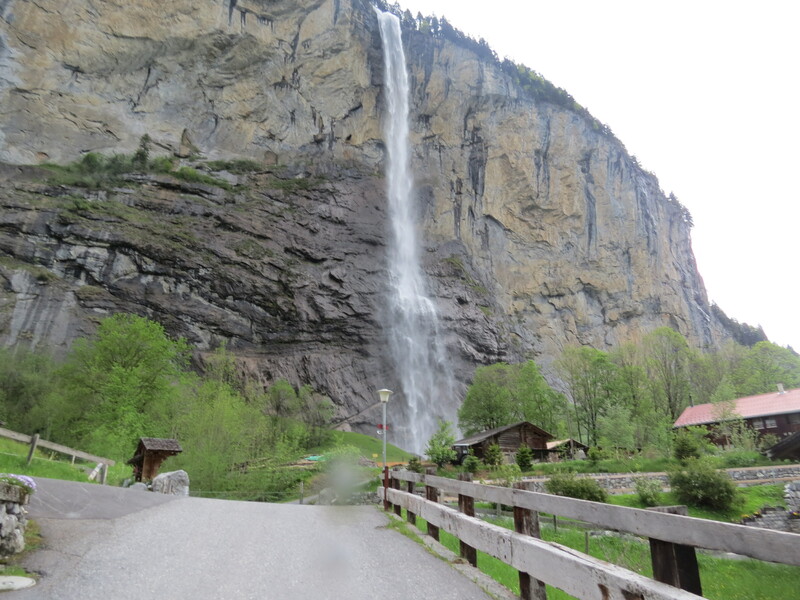 Surrounded by limestone walls and one waterfall after another made me realize that at that point, I discovered what beauty truly is. 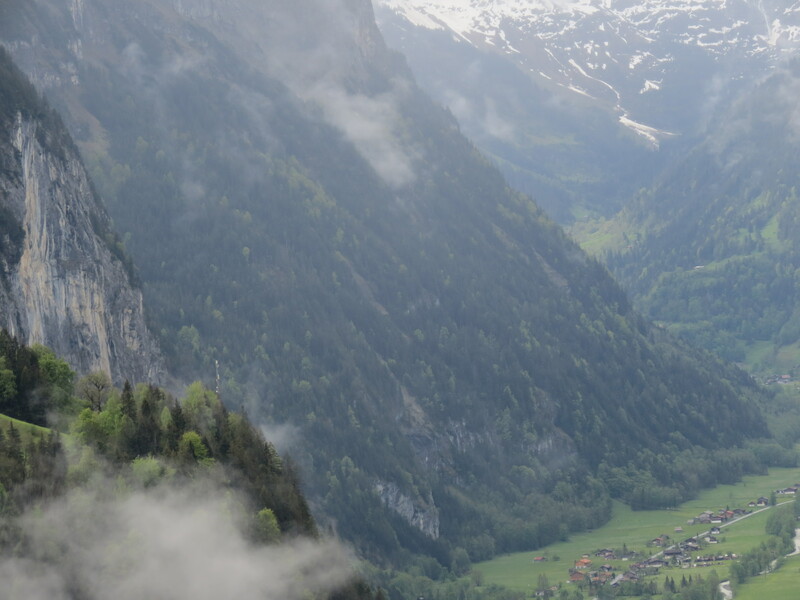 As I look back and realize that I have seen a place this perfect feels like a dream and to this day, takes my breath away; there really is no other better way to describe Lauterbrunnen than saying that it genuinely and unquestionably is the definition of beauty.